Be the dancer you've always wanted to be! Become part of a community of dancing adults! improve your lines, balance, gracefulness, flexibility, and performance quality? Are you an adult with little to no dance experience, who has always wanted to try? ​in a friendly, fun environment? Then TIPDI's Move Up! Dance Camp is just right for you! Join our super friendly, knowledgable, accessible, much-loved TIPDI instructors Sasha Soreff and Elizabeth Douglas for two days of dance fun! ​in a stress-free weekend with awesome instructors! Move Up! is a weekend of friendly, fun, informative dance training in a non-competitive environment geared towards adult learners!! The majority of our students range in age from early 30s to early 60s, but anyone 21 and older is welcome to attend! At TIPDI, there are no preteens wearing Miley Cyrus t-shirts who can wrap their legs around their heads. No intimidating, crowded rooms where everyone already seems to know the warm-up. No scary teachers or competitive students. At TIPDI, you'll be surrounded by like-minded adults who are there to have fun and become better dancers. We'll also go out on the town and catch a dance performance on Saturday night. (Optional, additional cost.) 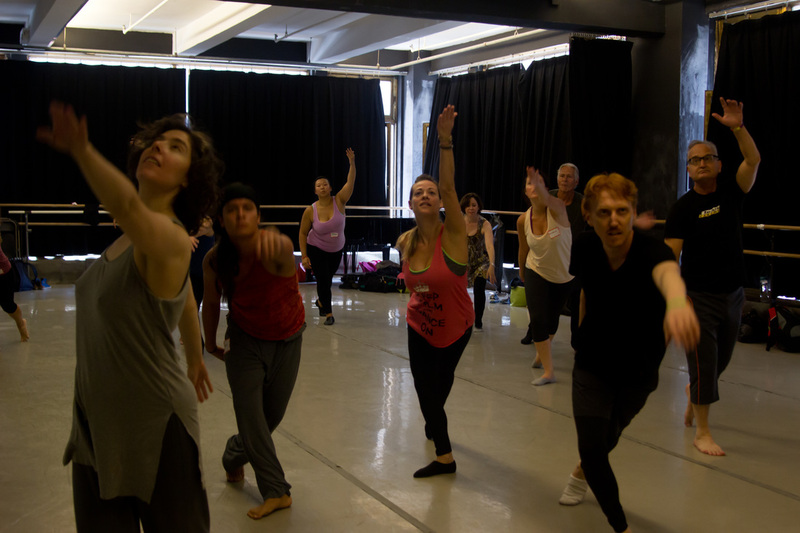 It's a weekend of total dance immersion in New York City! Your Weekend at Move Up! Classes are leveled at "Move Up" Dance Camp. ​Based on the information you provide on your registration form, you'll be placed in the appropriate level. Your placement in a particular class may change up or down after the weekend has begun, if a TIPDI instructor recommends it. Enrollment at "Move Up" 2017 is limited to 36 participants only. For adults with no (or little) prior experience with ballet or modern. Classes will move slowly and students will receive personal attention. We do not expect you to know anything. Level A is designed for true beginners and will address standard dance class etiquette, as well as basic movement. 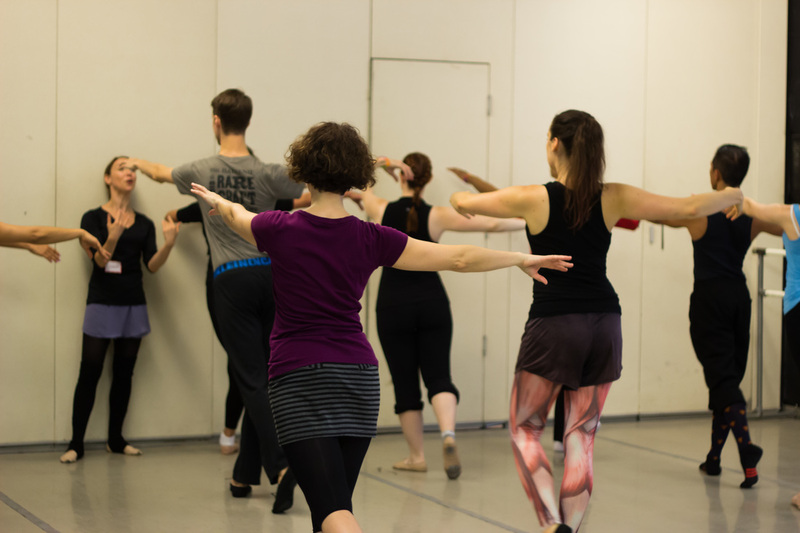 Our goal is to help you feel like you can go into any other beginner dance class in NYC and feel confident. For adults who have limited, but solid experience with ballet or modern, or for those who danced when they were younger and who are now returning to dance. This level is also appropriate for people with solid training in other dance forms such as Contemporary, Jazz, Musical Theater Dance, Belly Dance, and Ballroom. This level assumes knowledge of basic dance terminology (i.e., the various positions, and terms like tendu, dégagé, attitude, etc.). This is the perfect level for "bridging the gap" if you are out of practice or need to improve a particular aspect of your dance practice in order to feel more confident. Choreography Workshop is your time to experience life as a dancer. Choose the style you want to focus on and join our wonderful instructors as they set a short work on participants. Over the course of 4 hours, you'll rehearse and clean your part as if preparing for performance. On Sunday, you have the option of participating in an informal "open studio" showing for friends and family at 6:00 pm. Performing on Sunday is not mandatory, but it is great low-key fun. Register for the full intensive or technique classes only. This is your chance to dance! Come have fun with us! Fees are outlined below. Register early! "Move Up" is a strictly limited enrollment intensive and we expect it to fill quickly. To secure your spot, please fill out the registration form, and pay in full or place a $45 non-refundable deposit. The remaining balance can be paid anytime between the date you register and May 1, 2017. Please note: Registration and payment for the Full Intensive closes May 7, 2017. If we have not received your remaining balance by then, your spot will be released to another interested dancer. There is no "At-the-Door" registration option for the Full Intensive. • All deposits are non-refundable. After April 28, 2017, Full Intensive tuition is transferable, but not refundable. "Move Up" is a strictly limited enrollment intensive and we expect it to fill quickly. To secure your spot, please fill out the registration form, and pay in full or place a $45 non-refundable deposit. The remaining balance can be paid anytime between the date you register and May 1, 2017. Please note: Registration and payment for the Technique Classes Only option closes May 7, 2017. If we have not received your remaining balance by then, your spot will be released to another interested dancer. There is no "At-the-Door" registration option for Technique Classes Only. • All deposits are non-refundable. After April 28, 2017, Technique Classes Only tuition is transferable, but not refundable. On Saturday and Sunday, it is possible to "drop-in" for a particular Technique class at-the-door. Admittance to a particular class at-the-door, is on a standby basis based upon available space, and is not guaranteed. If you intend to "drop-in", it is highly recommended that you call or email us the day before the intensive to check for space. There are two full-tuition scholarships available for "Move Up!" - one for a female dancer and one for a male dancer. Recipients of the Move Up! scholarship will serve as administrative staff during the Camp, and will also have social media, street team, and advertising responsibilities prior to the camp. For more information and an application, please email us directly at info@tipdi.com. Sweatpants, yoga pants, non-baggy shorts, stretch pants, t-shirts, comfortable tank tops, all work just fine. If you have long hair, bring something to tie it back with, such as a scrunchy or hairband. Long story short, dress for comfort, not fashion. Quick tip: If you're wearing sweatpants, choose a pair where there is some elastic at the ankle. Otherwise, you might find your sweatpants rolling up your legs to your hips anytime you're doing something on the floor that requires you to lift your legs. Any of the options listed below are fine. We do not expect you to run out and buy shoes for the intensive. Modern class: Barefoot or socks. Ballet class: Socks, Peds, or ballet shoes if you have them already. Peds are the little nylon socks that you can buy in a pack of six at Duane Reade or CVS for wearing inside dress shoes. For those of you with ballet shoes already, you will only need your technique shoes for the weekend. Water. There are water fountains at Joffrey. However, bringing your own refillable bottle is helpful. Snacks. You'll have one 2 20-minute breaks on Saturday and Sunday. While the long break is enough time to run out and grab something, it's better to have something handy, so you can actually take a break. Extra shirts and socks. You will most likely want to change at some point. You'll be working hard. Deodorant. While not necessary for rocking a dance class, it is appreciated. A smile and your willingness to have fun! If you are joining us by car, there is on-street parking all around the dance center. It is also possible to lock up a bicycle directly in front of the dance center doors. If you are coming from out of town and need housing, there is the option of staying with a locally-based "Move Up" participant. Please indicate your desire to "homestay" on your registration form. There are also two hotels within walking distance of the Joffrey Dance Center. Motel 6 Long Island City is two blocks away. Rooms range from $120 US to $160 US per night. Days Inn Long Island City is a 10-minute walk away. Rooms range from $110 US to $180 US per night. If you'd like to split a hotel room with another "Move Up" participant, please let us know on your registration form and we'll do our best to pair people up. Sasha has taught modern, jazz, Simonson technique, anatomy and student performance workshops throughout New York and New England since 1999. She currently is on faculty at Gibney Dance Center. She has taught at the 92Y, The Door and BAX in addition to serving on the faculty at Dance New Amsterdam from 2000-2013. Sasha has served as a teaching assistant to kinesthetic anatomist, Irene Dowd, and has completed the Level 1 Teacher Training in Breath~Body~Mind, a series of breathing and qi gong practices that promote well-being. Sasha is Artistic Director of Sasha Soreff Dance Theater, which has been creating and presenting multigenerational, participatory work since 2002 at such venues as the Ailey Citigroup Theater, Dixon Place, The Queens Museum of Art, Long Island University, The JCC in Manhattan, University Settlement (where she was artist-in-residence 2013-2014) and on WNET’s MetroArts Television Station. Recently, Sasha set a piece on students at the Ailey School and created an original movement theater work with Roots&Branches Intergenerational Theater. She had the pleasure of dancing with Isabel Gotzkowsky and Friends from 1998-2004. A Maine native, Sasha attended North Carolina School of the Arts and Barnard College. More information at sashasoreffdance.com. 2016 is Sasha's 4th year with TIPDI. 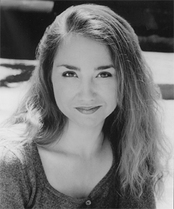 Elizabeth Douglas is a professional dancer, choreographer, and dance educator trained in several dance styles. Elizabeth received her BA in Dance at the University at Buffalo before moving to New York City. 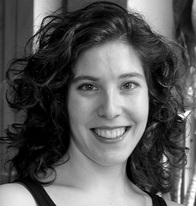 Once in New York, Elizabeth received her MA in Dance and Dance Education from New York University. From there, she continued her training throughout the city while teaching children through adults. Her teaching career has brought her to institutions such as Chen Dance Center, 92nd Street Y, Steps on Broadway, Montclair State University, and Ballet Hispanico. Elizabeth has performed with several dance companies in New York and is a founding member of Xodus Dance Collective, with whom she currently performs. Elizabeth is passionate about teaching beginners through professionals and encouraging the joy and release found in dance and its connection with music.